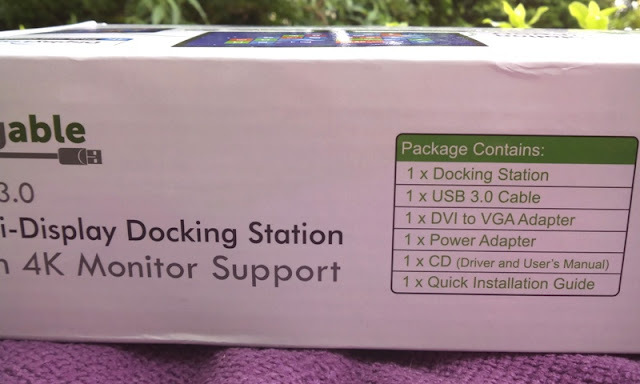 Plugable UD-5900 Multi-Display Docking Station With 4K Support! 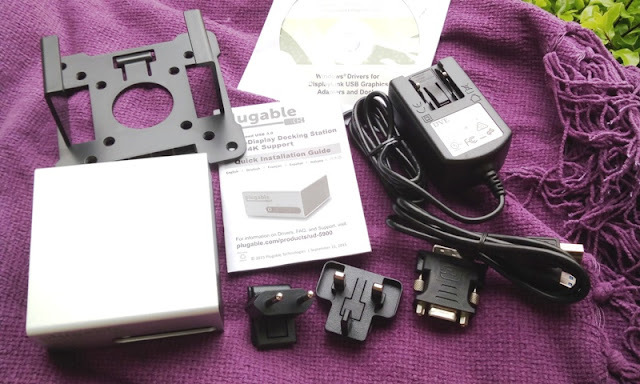 If you use a laptop or tablet without a docking station, you will know how much of an inconvenience it is having to disconnect and reconnect your peripherals every time you move your laptop or tablet around! That's the beauty of docking stations. You can hook up a monitor, keyboard, mouse and other peripherals that you would normally hook up directly to a laptop or tablet, saving yourself the bother of having to plug and unplug every time you move. 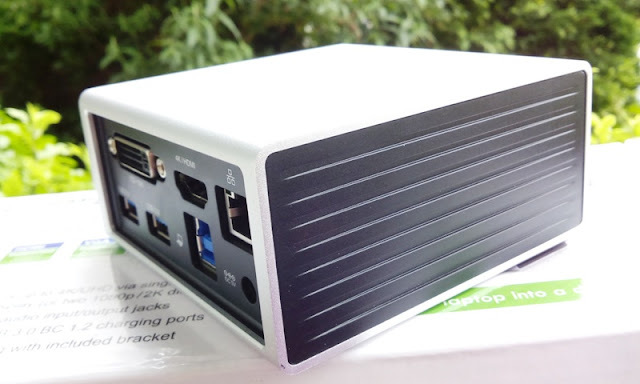 You simply plug the laptop or tablet into the dock and you're hooked up to all your peripherals! Aside from connecting multiple peripherals, docking stations can have other cool features like VESA mountable, 4K display and dual video outputs such in the case of the Plugable UD-3900 and Plugable UD-5900 which literary turns your tablet or laptop into a desktop powerhouse. 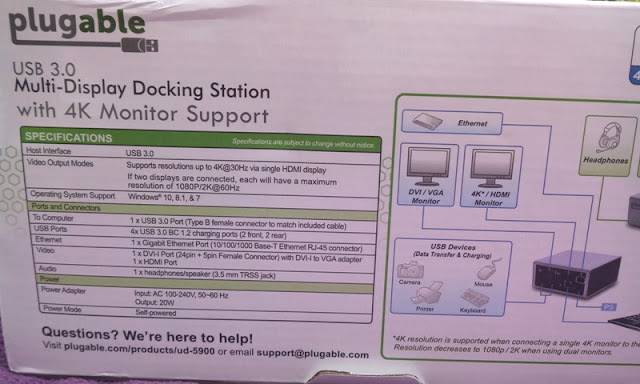 With the Plugable UD-5900 multi-display docking station, you can connect up to two monitors and eight accessories through a single USB cable. You can connect one single 4K display at 30 Hz or two 2K displays at 60Hz (two displays at 2048x1152 resolution or lower). 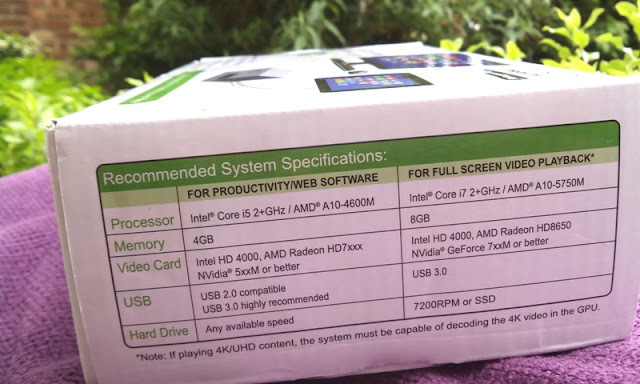 In total, you get four type A USB 3.0 ports (up to 5 Gigabits per second), audio jack, front audio in/out via 3.5mm TRRS combo jack, Gigabit Ethernet port, a combo audio jack for headsets as well as DVI-I and HDMI connectivity. 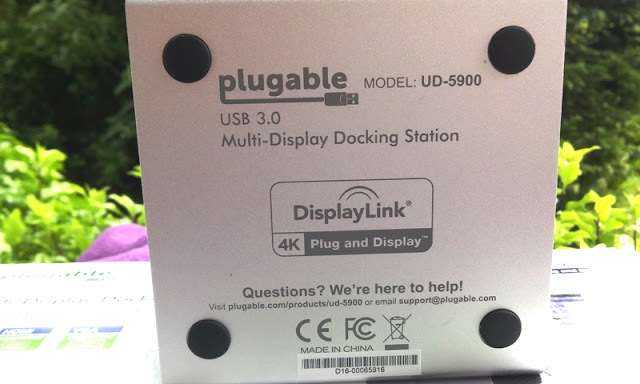 The Plugable UD-5900 has the following connectivity: one DVI-I via DisplayLink (supports 2K at 60 Hz fresh rate) and one HDMI via DisplayLink (supports 4K at 30Hz with a single display or 2K at 60Hz). Setting up the docking station is pretty straight forward. 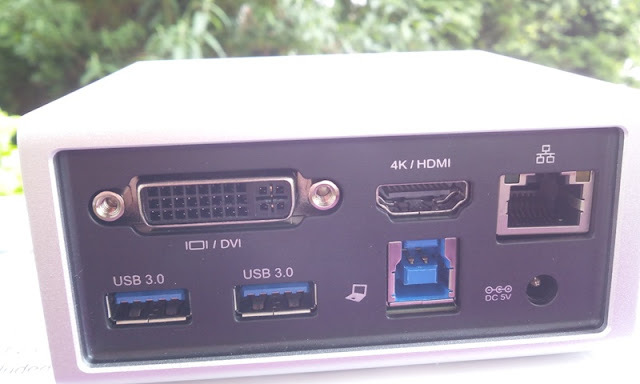 After you install DisplayLink drivers, which you can download from the included driver CD, or directly from DisplayLink's main web site, it is plug and play from them on. The Plugable UD-5900 is a multi functional docking station that functions as a standard USB hub, phone charger and dual video output. The included VESA mount and screws allow you to hang the docking station off the back of a monitor to cut clutter off the desk (you can easily slide in and out the docking station out of the VESA mount). You can connect 4K displays onto any Windows 7,8 or 10 PC that has a USB port. 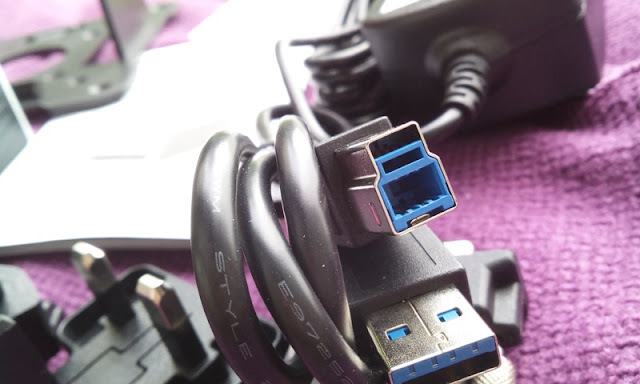 The included male VGA to male DVI-I adapter allows for mirroring/extending your Windows desktop to external monitors. As far as power consumption, the UD-5900 runs on 20 watts so it has a great power consumption and comes with a UL certified 5V/4A power adapter. 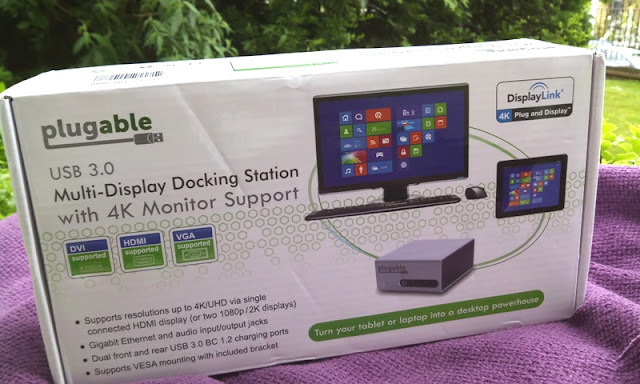 Check out the Plugable UD-5900 USB 3.0 Multi-Display Docking Station. You can get it via Amazon as well. 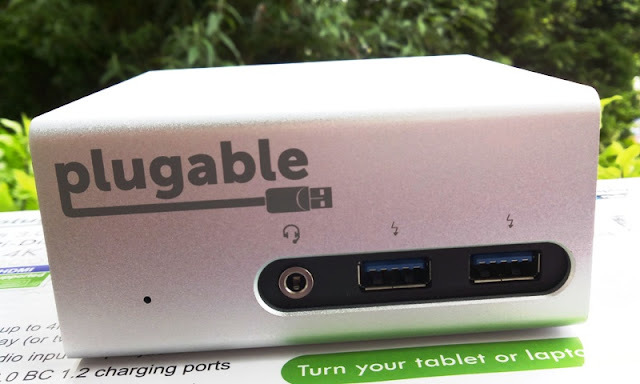 Plugable USB 3.0 10-port Hub with Dual USB Charging Ports!